On a lovely day late last April, I sat down for lunch with one of the Greater Erdenet Area Soumers – a Peace Corps Volunteer who lived in a soum a few hours’ drive of Erdenet. The weather had been unseasonably hot this month, with temperatures reaching the 80s (high 20s, for you non-Americans), and since the fur-lined boots she’d worn for the past six months had suddenly become unbearable, she’d come into town to peruse our зах – zakh, or market. They were, indeed, Mongol-Fabulous: black and shiny, with bows on the toes and an obnoxiously large rhinestone design on the heels. Neither she nor I would ever have dreamed of purchasing them in America, much less wearing them to work. But here they would blend in nicely. Mongolian fashion sense, to the American eye, is… a little out there. I don’t like my clothing to sparkle at all, but even if I liked the look in moderation, I’d still find the Mongolian passion for all things bedazzled a little overwhelming. Shirts, shoes, dresses, jeans, hair clips, sunglasses – if it can hold rhinestones, it will usually be covered in them. Even the wallpaper in your average Mongolian home glitters. It is also likely patterned with enormous flowers, as in the examples below. Note the curtains patterned with different flowers! Mongolians like prints on their clothes, too. Specifically leopard print. In my fifteen months in the country, the only leopard-printed piece of clothing was the scarf I used as a tail for my Halloween costume, but a number of the female Peace Corps Volunteers adopted the leopard-print leggings trend so popular among the locals. Speaking of leggings: do they spark debate in other countries, or is that specific to the American twenty-something demographic? Among college-age American girls, there’s a pronounced split between those who do and do not consider leggings to be pants. Personally, I treat them as I would tights: leg coverings that provide decent covering when paired a long shirt or short dress but are, on their own, insufficient. Most of the girls at my alma mater, where North Face jacket + black leggings + Ugg boots was practically a uniform, disagreed. So, for that matter, do Mongolians. Most of them dress up for work but dress down as soon as they get home, and this often means swapping a dress or nice pair of slacks for leggings. A very particular sort of leggings: the kind lined with fake fur and printed with high-contrast patterns of snowflakes and reindeer. Yes, you read that correctly. Reindeer. Gereltuyaa’s leggings were all the rage! … even among adult women. These leggings are extremely warm; I owned some myself and wore them around the house and when I went camping. I would never have worn them around town, but an awful lot of people – men and women alike – did so regularly. Perhaps it’s an issue of semantics. Team Leggings-Are-Pants does not translate readily into Mongolian because there is no separate word for leggings, or for tights: all are called өмд. I wish I had thought to cut out pictures of pants, leggings, and tights in various shades of yellow, orange, pink and purple, and asked Mongolians to sort them according to each designation. I suspect the test would result in a lot of confused, frustrated Mongolians and a random scattering of answers. The Mongolian word for orange is улбар шар, or reddish yellow, while purple is usually called хөх ягаан, or dark pink. Conceptually, the colors don’t seem to exist for most Mongolians, and so they have a hard time applying what seems to be an arbitrary distinction. The same might very well be true of pants and leggings. Or it might just be another case of Mongolian fashion sense differing wildly from its American counterpart. Some Americans are fans of glitzy wardrobes, to be sure, but Mongolians bring the preoccupation to a scale I’d never seen before. High heels + rhinestones + leopard print: the most Mongol-Fabulous shoes I’ve ever seen. I don’t know how walk through ice and snow in stilettos without breaking an ankle, but my coworkers treated it as a matter of course. 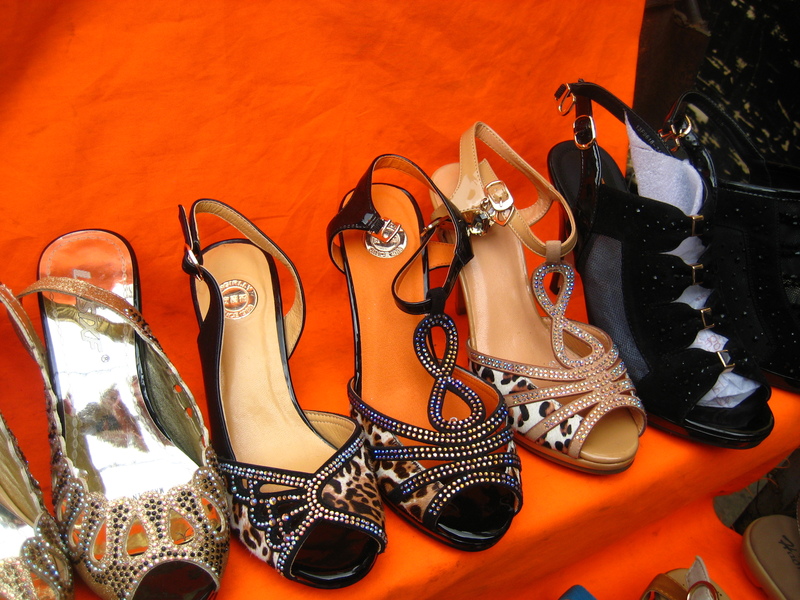 Expats readers, how does the local fashion sense compare with your own tastes? Categories: Cultural Notes, Life in Mongolia | Tags: clothing, culture, fashion, Mongolia | Permalink. As the title suggests, the “Potty Talk” series will discuss defecation, digestion issues, and related parts of everyday life not usually discussed in polite company. If the thought offends, I suggest you read no further. Please enjoy my review of Dijon in ice cream instead. Why, you may well ask, do I want to talk about poop, on the Internet of all places, where my future children, if I have them, will be able to find it someday–or worse yet, my future in-laws? Because A) it’s a universal experience, B) different cultures approach it differently, and C) I have fun stories to tell. And a good story is a good story, regardless of how puritanical our culture feels about the subject. Frankly, I’ve wanted to do this series for months now, but other topics always seemed more pressing. 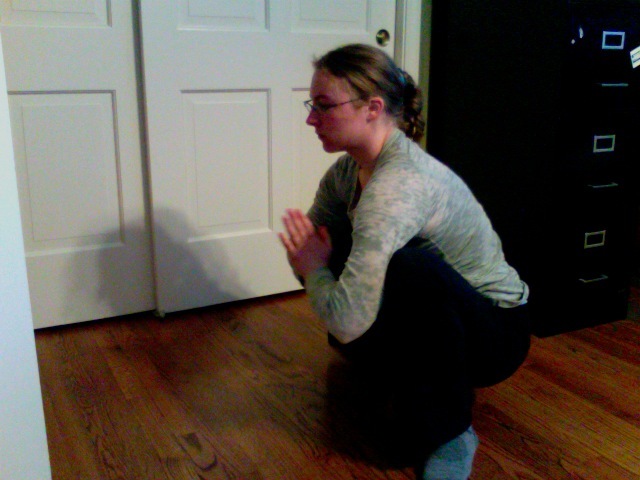 With my Facebook feed one more abuzz regarding the virtues of squatting, however, it seems the time has come. I have a friend who’s a radio DJ, and because he’s the new guy at the station and therefore works the crummy weekend shifts, I like to call in to his show with song requests, answers to his questions, and veiled references to the camp where we both worked. The first time the temperatures dipped below 0˚F this winter, he asked his listeners about the craziest thing they’d ever been stuck doing out in the cold, so of course I had to call in. I suspect most Americans imagine outhouses to be like the one in Shrek: wooden buildings with raised seats, ideally with a lid to cover the the seat, and probably with a cute little moon-shaped cutout in the door. Those with more camping experience might picture latrines like the ones found in the boundaries, which are decidedly more… exposed in nature. But even the bare-bones outdoor latrine has what I would consider the defining feature of a Western-style toilet: a seat. This is not the case in Mongolia, where the setup is usually a wooden floor with a missing slat in the middle, through which you can see (and pee) down to the pit below. A nice outhouse is one with four walls, a door that can be latched closed, and a deep pit, but many lack doors and roofs; in the countryside, there may be little more than a shallow pit with two slats to stand on and three almost waist-high walls to provide a modicum of privacy. Squatting over a hole in the floor instead of sitting on a porcelain chair isn’t a uniquely Mongolian thing, either. Even indoors, I’ve seen plenty of ceramic squat toilets in China and Thailand, some equipped with a flush mechanism and others simply with a bucket of water and a ladle. Generally speaking, I’d simply categorize this as a cultural difference between East and West. Storm door handle during the Vortex. No touchy! 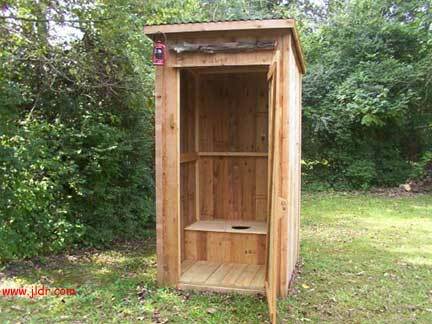 In the case of the Mongolian outhouse, however, the design also serves a distinctly functional purpose. Imagine, if you dare, sitting bare-cheeked on a -20˚ seat–ow! At that temperature, just touching a door handle barehanded is painful enough, as I was reminded during the (overhyped) Polar Vortex. Worse yet, contemplate the possibility that the outhouse’s previous user was a little splashy, and that liquid hasn’t quite frozen yet. We all know what happens when you touch an ice cube with wet hands–it sticks. I suspect that the same thing could happen with a splashed-on outhouse seat, except that with that much skin involved, detaching oneself would be much more difficult. And if you can’t get unstuck yourself, and assistance is not forthcoming, you could literally freeze to death in the outhouse. I can think of ways to die with less dignity… but not many. So while using a Mongolian outhouse in the winter was a decidedly brisk experience, I was very glad not to risk freezing to the facilities every time I decided to use them. And a few months into my grant term, I learned that squat toilets had other benefits, too. When this video first made the rounds, I was skeptical. As a long-time Girl and Venture Scout, I’d been using the outdoor “facilities” for years even before I traveled to Asia, and let me tell you: if you’re used to using a toilet, relieving yourself without one is NOT easy. Most Western women, when asked to pee in the woods, would probably do the same thing we do with dirty public toilet seats: hover in an approximately seated position–not because it makes much sense to do so when there’s no toilet to hover over, but because it’s what we’re used to. I did this at one point too. The problem is that it doesn’t work very well. It’s extremely difficult to tense the muscles needed to hold you upright while simultaneously loosening the ones that release your bladder. Our on-the-toes method of squatting is less stable and harder to sustain, and I suspect instability is the last thing any of us want when crouching over a pit full of feces, especially if the boards we’re crouching on are icy. Keeping your arms straight forward also helps with balance, but that’s not malasana. And the Squatty Potty’s claims that a “sensation of satisfactory bowel emptying” is easier to achieve when squatting, once you’ve learned to squat properly? Totally true. Which is especially important when emptying your bladder and/or bowels means putting on several layers, trekking out to the outhouse, and then taking some of them off (at least partway) in below-zero temperatures. Believe me, you don’t want to have to do that any more often than necessary. So while I strongly appreciate the ability to use indoor facilities once more, there are times when I actually miss squat toilets. Amazing what some time abroad will do to your perceptions and preferences–even the most alimentary ones. Categories: Cultural Notes, Life in Mongolia | Tags: Asia, culture, Easter, Mongolia, outhouse, potty talk, squatting, Squatty Potty, Western, winter | Permalink. “What’s your favorite color?” I used to ask my students in English and my acquaintances in Mongolian, and more often than not, I was surprised by the answer: white. I think it’s probably safe to say that most Americans, unless they’ve studied or worked with lighting design, think of white not as a color, but as the absence thereof. It’s ceilings and doors and moldings that frame brighter-colored walls without calling attention to themselves; it’s a canvas not yet painted, a page not yet filled. It is, metaphorically and literally, a blank slate, a color whose only cultural connotations are of purity – which is to say, absence. Mongolians feel very differently. Not only is white a color, it’s one of immense significance; after blue, it’s probably the second-most ceremonially important color. But what makes this month “white?” The moon itself? That would be my first guess, especially if the holiday fell on a full moon. But it doesn’t; it marks the beginning of the lunar cycle, starting the day after a night devoid of any moon at all. During Tsagaan Sar, even a clear night is frightfully dark out in the countryside, since the moon’s only presence is the tiniest of slivers. The snow? That might be your next guess, and it wouldn’t be a bad one. Snow blankets the Mongolian landscape unmelted from the beginning of November to the end of February and can continue to color it as early as August, or as late as June. For countryside-dwelling herders, it is the color of half their world for up to half of the year, a ceaseless sheet of brilliance that turns many of their eyes blue with cataracts by the time their grandchildren are born. Snow is a source of beauty, but also of danger; too much of it will keep their herds from being able to graze on the dead remnants of last summer’s grass. It is also more likely to fall after Tsagaan Sar than in the two months previous, during which the weather is often too cold for snow. But while snow is a fact of life in Mongolia, it’s not a sustainer of life, and so white is most strongly and importantly associated not with snow, but with milk. When I’ve stayed with nomadic families, I’ve noticed that the first thing they do in the morning is to light a fire in the stove; the second, to heat a big bowl of water over that fire and draw off what they need for other uses; the third, to add the tea leaves, milk, and salt needed to make suutei tsai, or milk tea, which they’ll pour into a thermos to be drunk throughout the day. It’s what they give to a visitor the moment he crosses the threshold, what they socialize over and warm their hands with, and what they drink with meals, since they largely believe that drinking cold water with hot food will make you sick. But the fourth thing nomadic families do, before anyone gets to drink the prepared milk tea, is take a ladle-full outside and fling it skyward in an offering to Tenger, the shamanist sky god. Even apartment-dwelling city folks lean out their windows with full spoons to participate in this ritual. The Mongolian gods must like milk, because their religious sites are soaked in it: splashed across ovoos and shrines, neatly collected in cups around their bases, and even illuminating temples in the form of milkfat-based candles. Seeing these religious applications was what helped me to understand that milk, and the mind-boggling array of things made with it, are much more than a mainstay of the Mongolian diet. You don’t make a point of sacrificing cheap gruel to a household god, no matter how much of it you eat; you give the gods the best of what you have. My director offering milk and incense at a religious site. Milk to be offered at the dedication of Erdenet’s new Buddha statue. “Walk three times and pour milk,” my director said. So I did. You welcome important guests and occasions with it, too. When I visited the Mongolian countryside on an outreach trip with the other Fulbrighters and some higher-ups from the Embassy, the mayor of Tosontsengel greeted us with a copper cup of milk, which we passed between us peace-pipe style. On my last day at the school where I’d taught for a year, I was presented with a similar cup, also filled with milk. And when an American friend married a Mongolian woman, his father-in-law handed him a silver cup of milk as part of the ceremony, from which he and his new bride then drank. My cup. Or bowl. Either way, it’s an аяга. Nathan and Suvdaa on their wedding day. After witnessing these and many other ceremonial uses of milk, I eventually learned not to be surprised when my students told me their favorite color was white. To me, it’s the color of the stuff I put on my cereal or in my coffee – but to them, it’s life. Categories: Cultural Notes, Life in Mongolia | Tags: colors, milk, Mongolia, religion, snow, white, worldview | Permalink. My first few days in Mongolia were bewildering ones. Consider: I had a thirteen-hour time difference to adjust to; I’d never been to Asia before; I couldn’t speak the language, or even read the alphabet. I’d done almost no research on Ulaanbaatar, the city in which I’d be spending the next three weeks. I’m not usually such an underprepared traveler, mind you; we were supposed to have an orientation program in which we’d learn the basics of the language and culture, as well as how to do things like navigate the city and order food. But that started on Monday, and we arrived on Thursday. So our first few meals in Mongolia were of the “point at something on the menu and hope for the best” variety – a dicey enterprise, but one from which we thankfully emerged unscathed. I’m particularly grateful that I never ended up with anything really nasty because this remained an ordering strategy for far longer than one would have expected, even after I’d learned the Cyrillic alphabet. Reading Cyrillic, it turns out, does not mean you can read Mongolian. Mongolians have been writing for a long time, and the way they write has evolved considerably during that time. Learning to read in Mongolia is therefore no simple matter. Whereas most Americans have only one alphabet to master, Mongolians have a variety to choose from. While several variants exist, Mongolian Phags-pa is very boxy and not particularly script-like. 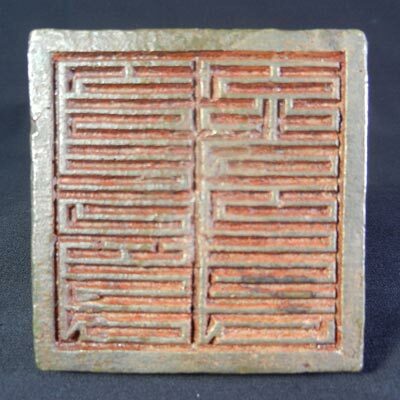 Invented during the reign of Kublai Khan in order to serve three languages spoken at the heart of the then-enormous Mongol Empire (Tibetan, Mongolian, and Chinese), this blocky-looking script fell pretty quickly from common use. While Mongolians no longer write with it, it does appear frequently as ornamentation – perhaps because it bears some resemblance to the knot-like decorative patterns they so often favor. I’ve seen it on statues, stationery, fabrics – and, of course, money. Phags-pa vertical along the left; to the right, the soyombo. Money brings us to another short-lived script: Soyombo, which is not technically an alphabet, but an abugida. (If you’ve never heard of one, you’re not alone. In short, it’s a system that notes consonant-vowel groupings, emphasizing the consonants.) 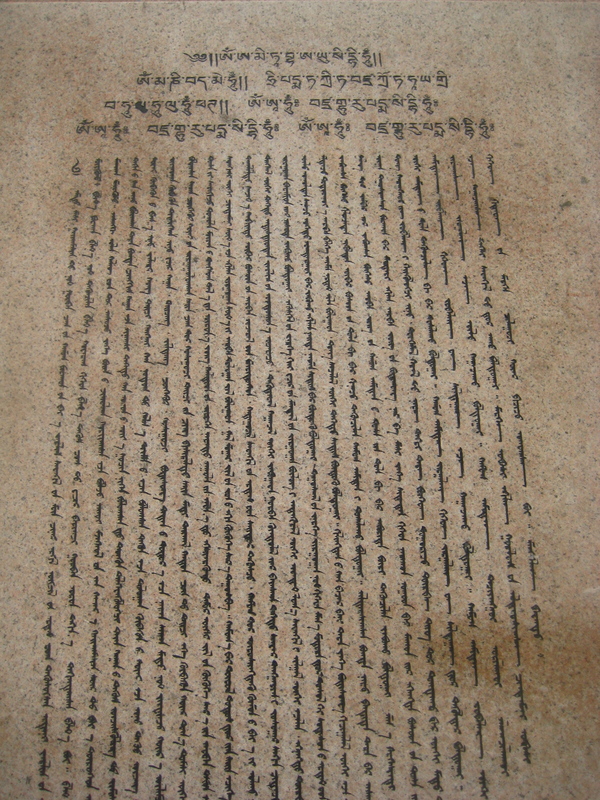 The Soyombo script was designed in the 1680s by Mongolian scholar-monk Bogdo Zanabazar for translating Buddhist documents from Tibetan or Sanskrit. This very complex system never made it into everyday use, but its eponymous Soyombo symbol has been adopted as a national symbol and appears on everything from bills to walls to the flag. 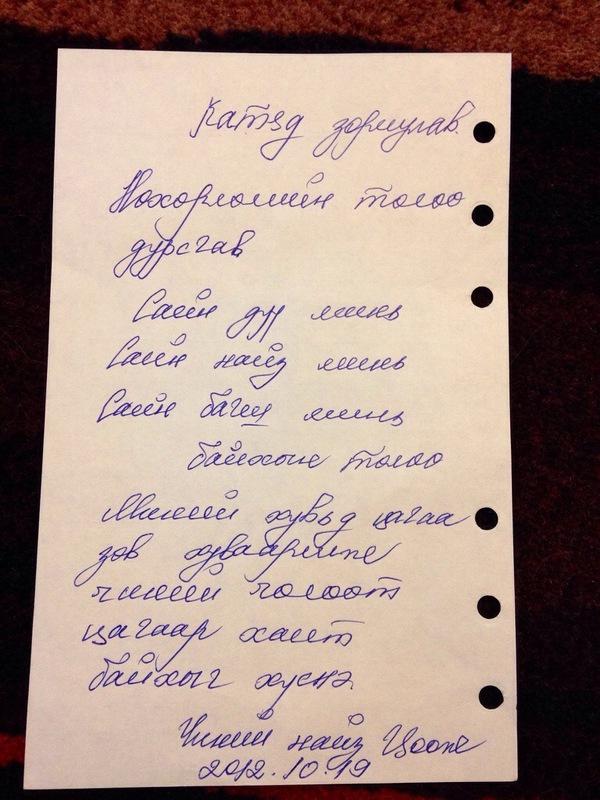 Handwritten for me by the Erdenet Children’s Palace director. Called монгол бичиг, or Mongol bichig (literally, Mongolian writing) this writing system has certainly had the longest run of them all, and it’s still used in the Chinese province of Inner Mongolia. In Mongolia proper its modern uses are mainly ceremonial: logos, certificates, statues, signs. I’ve seen many documents titled in the script, or stamped with it alongside a signature, but never one entirely written in it. 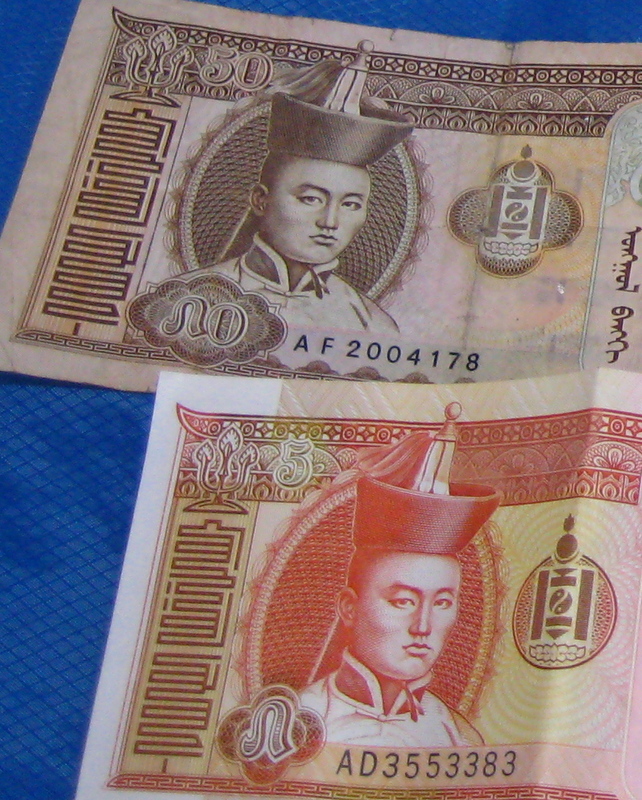 It too graces every piece of Mongolian currency, and Mongol bichig calligraphy is a common art form – especially among students, all of whom now learn it as children. Though one of my tutees offered to teach me this beautiful script, I declined. I’m still very much a beginner in reading in Cyrillic, so adding this would mean biting off way more than I could chew. Like Phags-Pa, this script is vertical – but while the cursive system has a “spine,” little else of it is orthogonal. It also resembles Arabic in that its letters take different forms depending on whether they fall at the beginning, middle, or end of a word. As if that wasn’t enough, everything written in the Classical Script is also spelled differently, since Cyrillic spellings reflect changes in pronunciation that have occurred since the Classical codification of Mongolian. Had I lived in Mongolia another year, I would have liked to learn it, but in the limited time I had, I decided not to court madness. Inscription on a monument in Bulgan. The squiggly marks on the right are numbers. Block-printed Cyrillic is the everyday writing system in Mongolia and has been since the Soviets first stepped in in the 1940s. 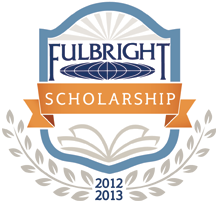 This is what you’ll find in textbooks, legal documents – anything printed. It’s the writing system in which I learned to read Mongolian, and to this day it remains the only one in which I can reliably do so. Mongolian Cyrillic has two more letters than Russian Cyrillic – vowels ү and ө, which correspond approximately to “oo” and “eu” [u,ʊ]. Despite these additions, Google still fails to distinguish between the two languages, though at least it now recognizes Mongolian as a language. Unfortunately, learning block-printed Cyrillic is not enough. Whereas many Americans consider cursive so obsolete that a lot of elementary schools no longer teach it, the reverse seems to be true in Mongolia. Any handwritten Mongolian you encounter will almost certainly be in cursive, be it on longhand lesson plans or the dry-erase menus favored at cheap diners. To say that this is problematic for foreigners is and understatement, because Cyrillic script is confusing. Not only are many of its letters very similar to each other, as is typical of scripts, they are also highly dissimilar to their printed forms. Consider д, р, and т in the chart below, and compare г to ч or м to и and ц. This made it extremely difficult for Mongolians to teach me things, since I need to see words written out in order to remember them. They’d write in cursive, and when I said I couldn’t read it, they’d try the Latin alphabet, which I couldn’t read either. The poem below was written for me by the school director inside a notebook she gave me. In return, I gave her a book with a note in English cursive. “Katya, your writing is bad!” she told me, at which point I indicated her own, explaining that I couldn’t read it either. Thereafter, she was much more consistent about printing. Kudos to anyone who can puzzle out the rest! However, this scheme (from Charles Bawden’s Mongolian-English Dictionary) differs from the one used by the US Library of Congress, which differs again from the one that often appears in Wikipedia articles. It’s also extremely misleading for English speakers, since virtually none of the vowels are pronounced the way we’d expect them to be. As a result, transliterated Mongolian makes no sense to me. Bi avtobusaar gereecee delgüür rüü yavaad emnelegt irsen does not sound like Би автобусаар гэрээсээ дэлгүүр рүү яваад эмнэлэгт ирсэн in my head, and I’m hard-pressed just to figure out how to spell that sentence, much less read it. It just doesn’t process. Furthermore, there’s the issue of usage. Mongolians do not typically use the Latin alphabet unless they are a) using a computer without a Mongolian keyboard, or b) texting. Neither scenario lends itself to the use of diacritics, and so the у/ү distinction is lost. Standardization, meanwhile, goes by the wayside: e could be э or e, yo ë or ю, and I’ve seen ө rendered as both u and o. Mongolian has rules about which vowels can occur in the same word, so it’s usually clear which letter is meant in longer words, but shorter ones are problematic. By uul, do you mean уул or үүл – am I supposed to be looking at the cloud, or the mountain? Happily, there is no өөл to further the confusion, but уур, үүр, and өөр are distinct words that are all commonly rendered as uur. Oh, so you thought we were done? Guess again! While it’s not used for everyday purposes and most Mongolians can’t read or write it, Tibetan writing is ubiquitous in Mongolia. Most Mongolians are nominally Buddhist, Shamanist, or a combination of the two, and it was the Tibetans who brought Buddhism to Mongolia. Anything of religious significance will likely include Tibetan writing: prayer wheels, prayer flags, temples and stupas, statues of religious figures. A single sign or statue in Mongolia might bear inscriptions in three or four different scripts. It makes for a rich and varied, but initially bewildering, cultural experience that requires a lot of puzzling out. A Tibetan phrase, transliterated into Cyrillic, with an attempt at an English translation. Categories: Cultural Notes, Language Notes, Life in Mongolia | Tags: (mis)communication, culture, cyrillic, Mongol bichig, Mongolia, orthography, phags-pa, religion, soyombo, the Soviets were here, Tibet, Writing | Permalink. Sorry We Stole Your Winter, Moscow! Most Americans Would Happily Return It. So apparently it’s been unseasonable warm in Moscow of late – and presumably elsewhere as well. Well, as my international readers may not know, there’s a reason for this, and it’s one my American readers have been hearing about for the past week: America stole Moscow’s winter. Sorry, Moscow. Winter storms Hercules and Ion hit the Chicago are with nearly two feet of snow, as well as a phenomenon that the media called a “Polar Vortex” – an area of low pressure that pulled a wide swath of arctic air over most of the country for several days. While places like Moscow and Alaska experienced unusually warm weather, Chicago and other mainland American cities were hit with the coldest temperatures they’d experienced in twenty years. You’d have thought the world was going to end. Weather emergencies were declared, people told not to go out unnecessarily. The commuter trains in Chicago were severely delayed, or in some cases, canceled altogether, because the rails were freezing, shrinking, and even breaking. The Chicago Public Schools canceled two days of classes, as did my own school district – a truly unprecedented event. (By contrast, in my twelve years in that system, I never once got a snow day because the snow removal systems are so efficient.) Three Amtrak trains en route to Chicago were stuck in twelve-foot snow drifts for over twelve hours; the passengers, including my friend Sarah, were eventually bussed to Chicago when six locomotives failed to dislodge the stuck trains. And to a certain extent, I understand the hubbub. An 8˚F/-13˚C day in Atlanta is in many ways more dangerous than a -30˚F/-34˚C day in Mongolia because Atlanta and its people are not prepared for such weather; my friend Charlotte had never owned a real winter coat before she went to college in Ohio because she’d never needed to, and I’m sure she’s far from alone. -17˚F is ten to fifteen degrees colder than Chicago is used to enduring (and that for only a few days a year), and its extensive mass transit systems don’t handle it well. The large homeless population, even with a concerted effort to shelter all of its members during the polar blast, is also at obvious risk. But I still think it was all blown way out of proportion. Yes, cold is dangerous, but it’s a manageable danger; it won’t kill you if you’re properly prepared. But you wouldn’t know that from the reactions of the media or the general public. Slideshows of weird and beautiful weather phenomena are cool; public service announcements about frostbite prevention and proper layering are necessary; updates on the innumerable and inevitable airport, traffic, and rail delays are useful. But it’s one thing to provide useful and relevant information on a current and far-reaching event, and another to treat it like the end of the world. The image at left, for instance, is from a Weather Channel listicle entitled, “10 Photos That Show How Insanely Cold Chicago It Is in Chicago.” The story was also carried on other news networks – CNN, WGN, and whatever radio station we were listening to at the time. When decontextualized, as at left, it’s a shocking, even frightening statement. 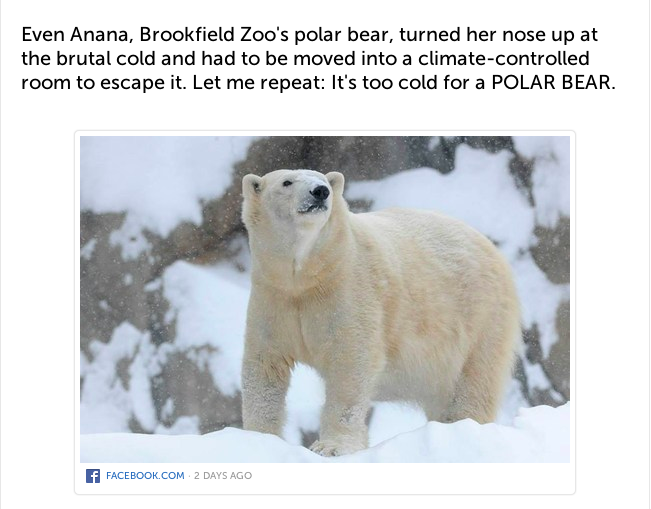 But the oversimplification misses an important point: it’s too cold for a Chicago polar bear, one who doesn’t have the fat reserves put on by her cousins up north. Some news carriers included this detail, but others went for shock value and omitted it. Unsurprisingly, it was the simplified version that made it into social media. She had me up until that last sentence. I don’t want to minimize the suffering or sacrifice of the people impacted by this winter; I know it was, and is, real. Not everyone has the resources or the know-how to protect themselves properly from this kind of weather, and for these people, Hercules and Ion were truly disastrous. And I certainly agree that the good people braving the cold to allow American life to continue as normally as possible do deserve our prayers, thanks, and recognition. But while the sentiment is well-intentioned, its conclusion is alarmist and just plain wrong. No, people shouldn’t be sent to work outside if they aren’t properly protected; no, they probably won’t be comfortable, even if they’re not in actual danger. But from the average American’s reaction to unexpected inconvenience, you’d think that uncomfortable and unbearable were synonyms. Discomfort and cold are a way of life for a lot people. Trains and buses might have been running behind schedule, but at least we have them. My car was reluctant to start during the cold snap, and its windows froze shut, but I still had a car – as do most Americans. Waiting for a delayed train in the bitter cold is not fun, but it still beats walking that distance along unpaved roads in even more frigid temperatures. And no matter how cold it was outside, the vast majority of us were not dependent on wood- or coal-burning stoves to keep us from freezing to death. If my time in Mongolia has changed me in any single, lasting way, it’s by changing my perspective. That’s a big part of why I picked Mongolia in the first place: I wanted to experience life outside the first world. I returned with a new appreciation of just how easy things are here: washing clothes and dishes, cleaning the floor, traveling across the city, the state, or even the country. When I’m stuck in traffic now, I’m more likely to be frustrated by the people around me who are frustrated at the traffic than by the traffic itself. And when it’s not just a little traffic – when it’s a near-total log jam of transportation in which flights are grounded, highways closed, and trains stuck in snow drifts or canceled for fear of derailment? A lot of people turn downright ugly. Sarah told me, and the reporters who swarmed the passengers when they finally arrived in Chicago, that while arriving nearly a full day behind schedule was certainly less than ideal, the conditions on the train were reasonably comfortable: they had heat and light and were at least fed dinner, though there were no snacks and only limited water. The conductor made the rounds of the train and kept the passengers up to date on what Amtrak was doing to try to get them out. The conductor’s attempts to maintain communication and keep things light were not reciprocated by all of the passengers, however. The conductor learned many new things from angry passengers, including “who she was, where she should go, and what she should do with herself,” including a number of word she hadn’t heard during her time in the Marines. In her shoes, I probably would have told the passengers in question that if they thought they could do a better job of getting the train unstuck, they were welcome to go out and push. There were also rumors of a fistfight, though Sarah did not witness it. The news was rife with interviews of similarly bilious grounded airline passengers. I understand that the travel delays impeded people’s ability to go on carefully-planned vacations, or visit sick or dying loved ones, or to attend important career events. In their shoes, I’d be frustrated and angry too. But there’s only so much anyone can do when the puts a twelve-foot snowdrift in the way of your train, and taking your anger out on the conductor does nothing to fix it. It is not the railroad’s fault that the train does not have the supplies to feed its passengers several unscheduled meals; did no one think even to bring snacks with them? These things happen. Winter happens. And while it doesn’t usually happen this badly in Chicago, it happens a lot. Winter inconveniences are just one of the hazards of living here, and I think if more Americans knew just how soft we have it and reacted accordingly, they’d be a lot more pleasant. Categories: Cultural Notes, Stateside | Tags: cold, Murica, perspective, polar vortex, reverse culture shock, weather, winter, winter storm Hercules, winter storm Ion | Permalink.